If you have found yourself in debt, you may have considered debt consolidation. A debt consolidation program takes several of your loans and combines them into a single amount. You make one payment each month, and they, in turn, forward your payments to the creditors of your loans. When it comes to debt consolidation, there is no guarantee that your monthly payments will be any less than before. You are also not guaranteed a lower interest rate. Life becomes a little more manageable because you’re only making one payment, but other than that, your debt remains the same. Debt consolidation loans, on the other hand, are new loans that pay off your several loans. You then pay back these new loans with one payment a month. Although debt consolidation seems like a great way to eliminate your debt, you may end up paying more. Now that you know to avoid debt consolidation, let’s go over other ways to become debt free. 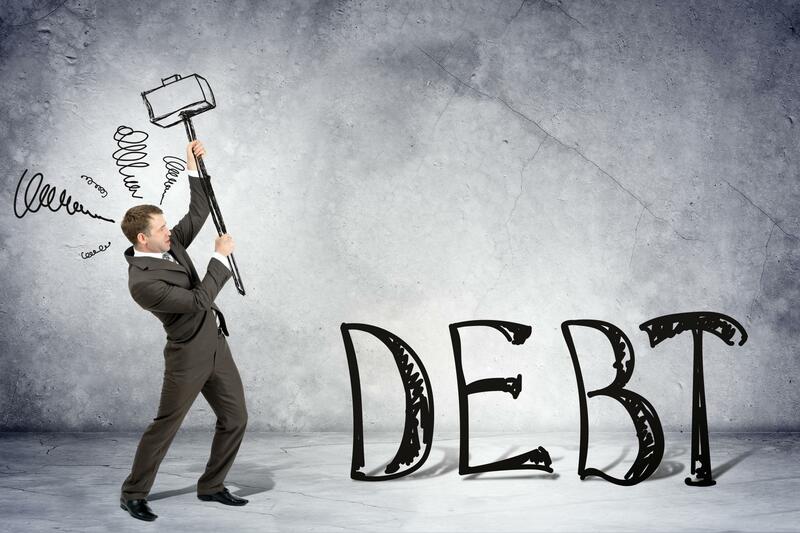 Eliminating debt is very similar to losing weight or organizing your home. It takes discipline, and it doesn’t happen overnight, but once you achieve your goal, you can maintain it with a little effort. Here are some ways to help you on your journey. Before you can tackle your debt, you need to know how much of it you have. You are allowed to download separate credit reports from each of the three credit reporting agencies every 12 months. Using AnnualCreditReport.com, you can get access to all three reports at the same time, or you can stagger them so that every few months, you get another report. That is not a credit score, but a report, showing you how much you owe and to whom you owe it. Be ready for a head rush, because seeing the numbers in front of you tends to slap you into reality. Now, take a deep breath and have faith, because that number has now become your long-term goal. You have a large number, but it is broken down into smaller, more manageable amounts. Online banking sites usually have these categories separated out for you. You can look at how much you spend in each category and then work from there. Decide the amount you want to spend each month and stick to that. Obviously, life happens and screws up your budget sometimes, but do your best to stick to that plan. Once you start seeing the money that stays in the bank, you can decide which debt you want to pay off first. 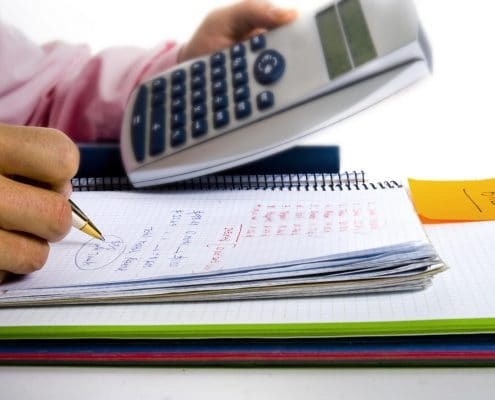 Using a Debt Payment Calculator, like the free one offered at www.undebtit.com, you can choose which debt you should pay off first. You should base it on the highest interest or highest monthly payment. Any extra money that you have each month goes towards paying off that debt. As your debt starts to decrease, you will be able to put more money towards the next debt. For example, if you have budgeted $200 a month towards paying off your debt, and your gross monthly payment is equal to $183, you take the remaining $17 and put it towards the debt you’ve chosen to pay off first. Once that debt is gone, you now have the previous debt’s monthly payment, as well as the $17, to put towards the next debt. Using Trim, an automated computer program that works through your text messages or Facebook, you can negotiate your utility bills automatically and view your spending habits. Knowing your account balance and recent transactions will show you how much you spent last month so you can budget better. You can also look through your subscriptions to cancel those you either forgot about or those you don’t need. 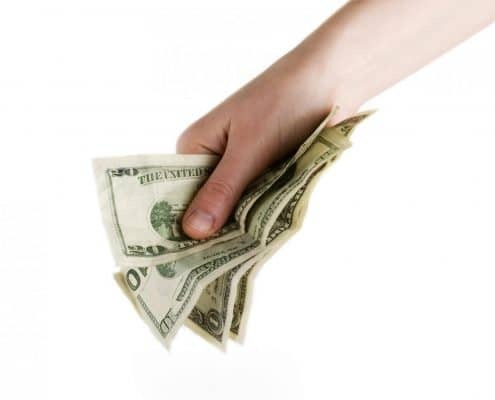 There are many ways you can earn cash back for items you purchase on a regular basis. Using Ibotta or Ebates, you can scroll through their offers, choosing store items you already purchase. Go to the store, buy those products, and scan your receipt when you get home. For each item you bought that was on your list, you receive cash rewards. Once your total amount reaches $20, you cash out, and they’ll send you a check in the mail. Take that money and use it to increase your debt payment budget. There are many websites today that will pay you to do specific activities that are already a part of your day. InboxDollars pays you to watch TV shows online, Ipsos Panel and Survey Junkie will pay you to take opinion surveys, and a website called Paribus will get you cash back for online purchases made through Target, Walmart, and Old Navy, just to name a few. No matter how you choose to put more money in the bank, make sure the extra goes towards paying off your debt. This plan is easier to follow when you create a budget and stick to it. Cut down on how many times you go out to eat each week, or in a month. Give yourself limitations on what you buy. Is it something you need right now? Take 24 hours to think about it, and the need to buy it will most likely fade, and you’ll start to see a significant difference in your bank statement.